Ra-223 therapy is recommended for Castration Resistant Prostate Cancer (CRPC) patients with bone metastases. The standard protocol is 5-6 cycles of therapy with 4 weeks intervals to gain survival benefit. 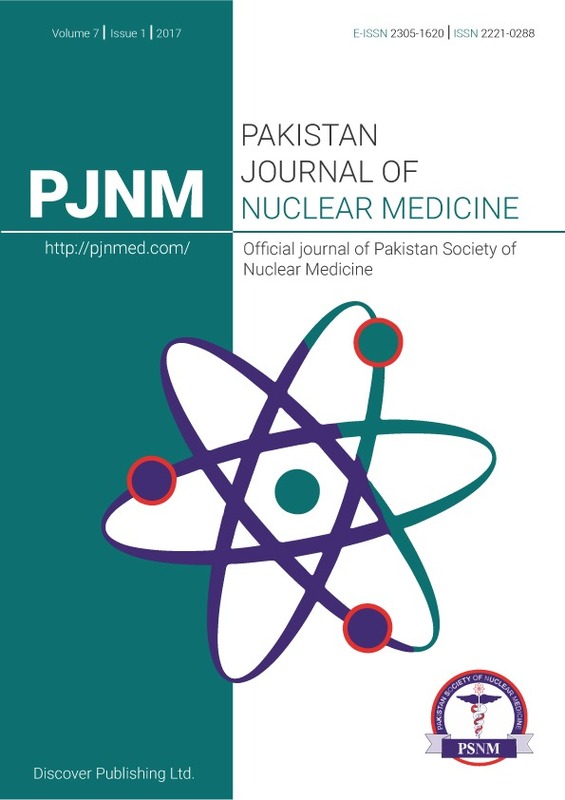 We report a case of a chemo-naïve CRPC patient who after 1.5 years of androgendeprivation therapy had widespread bone metastases, PSA of 4186 ng/ml, alkaline phosphatase (ALP) at 2982 U/l, bone marrow involvement with anaemia and thrombocytopaenia. 223RaCl2 therapy was started in August 2014. After the first two cycles of 223RaCl2 PSA dropped to 70 ng/ml, ALP to 877 U/l. The third cycle was delayed for 5.5 months due to technical reasons. Unexpectedly, during Ra-223 therapy interruption the positive changes were still ongoing. PSA-level decreased further, to 0.28 ng/l and ALP to 254 U/l. Hb level increased from 101 to 125 g/l, PLT from 105 to 180x109/l. After the interruption the patient received 4 planned cycles. Control bone scan after the 4th cycle revealed pathological uptake only in shoulder joints and sternum. In the follow-up period the patient demonstrated minimal disease signs: with normal ALP level, PSA 0.11 ng/ml. Ra-223 Therapy can give anti-tumour effect, as can be seen from the significant decrease in the PSA level. Breaks in Ra-223 Therapy are not dramatic. After interruption, it can be continued again. This fact can be taken into account while planning therapy. As shown here, clinical cases such the one we have reported, may allow a degree of flexibility to the standard recommendations on a case to case basis.